Hip-hip-hooray, there’s a little lady on the way! 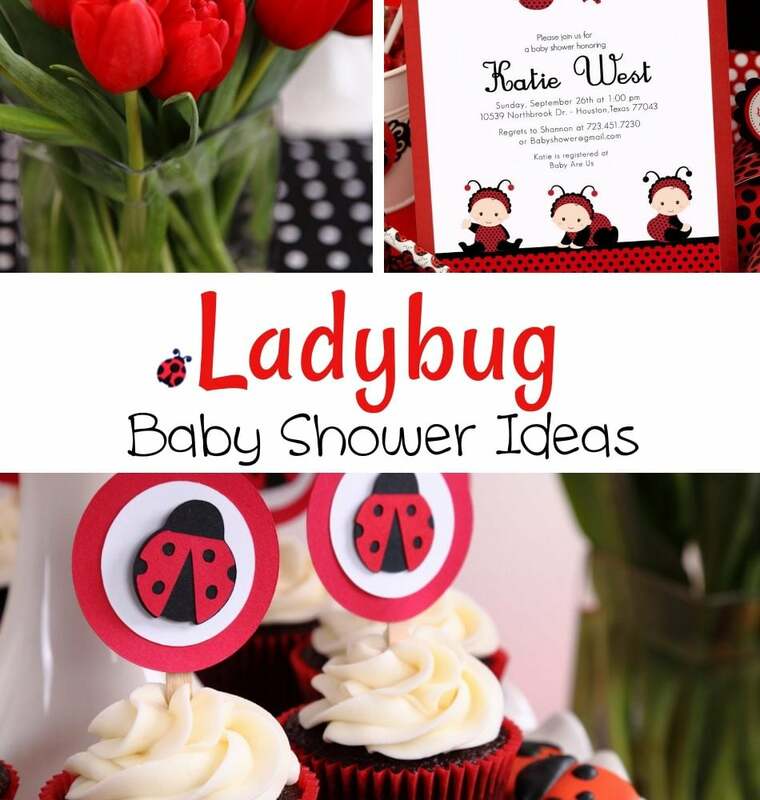 All of the women will fly into the room for this ladybug-themed baby shower celebration! Breaking away from the traditional pastel colors, a ladybug baby shower is an uber-adorable way to celebrate your little lady in the making! Before you fly out of your seat to go to the party store, you’ll need to grab a pen and a notebook to begin your baby shower organizer. First things first, you need to create a guest list. Make a full list of everyone that you would care to invite and narrow it down to suit your budget and space. Once you have a solid guest list, it’s time to choose your ladybug baby shower invitations. You may be able to find really cute ladybug baby shower invitations at a party store, but they will be no match for the ones you would find on websites such as Etsy! You typically purchase rights to a custom made JPEG file which you will then use to make prints. These adorable ladybug baby shower invitations from Ven’s Paperie are perfect for your sassy shower, and the file costs only costs $12.00! You’ll spend at least that much if you buy non-customized invitations at a store. 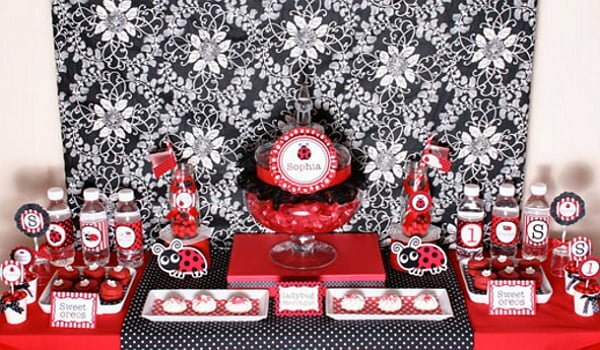 Polka dots paired with the contrast of black and red will definitely give your baby shower that ladybug feel. Everything should be coordinated with the black and red color scheme (and polka dots, of course! ): cups, tableware, table cloth, streamers, and so on. Good thing ladybugs are pretty simple because DIY decorations for a ladybug baby shower are fun and easy! Invite some friends over and get down with some crafts, here’s just a few ideas to get started! Flowers – Flowers go really well with ladybugs and these can be bought or made as well. Use sunflowers as a part of the theme or choose a flower that the mama-to-be fancies. A few fresh bouquets of red flowers, like this one by Glorious Treats, adorned with ladybugs make wonderful table centerpieces and room accents. 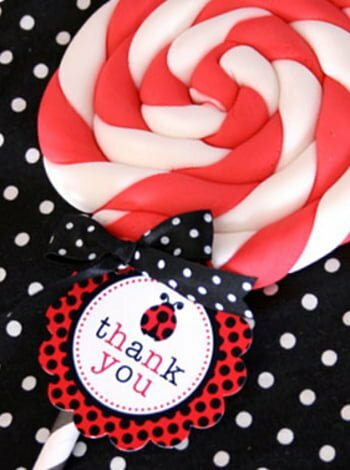 Polka dot balloons – Red with black, black with white, red with white, however you want them, you can have them. These make great filler decorations for around the room! Ladybugs – There is no ladybug theme without the actual critter, the ladybug! Whether you decide to make these from construction paper or buy them from a store, these should be hanging from the ceiling as if they’re flying, on the walls, and on objects all around. Let’s face it, at a baby shower we all think we’re eating for two. Whether it’s sympathy hunger, or that’s just the excuse, you need a bunch of yummy treats to serve. Ladybug themed treats are fun and cute, and the opportunities are boundless! 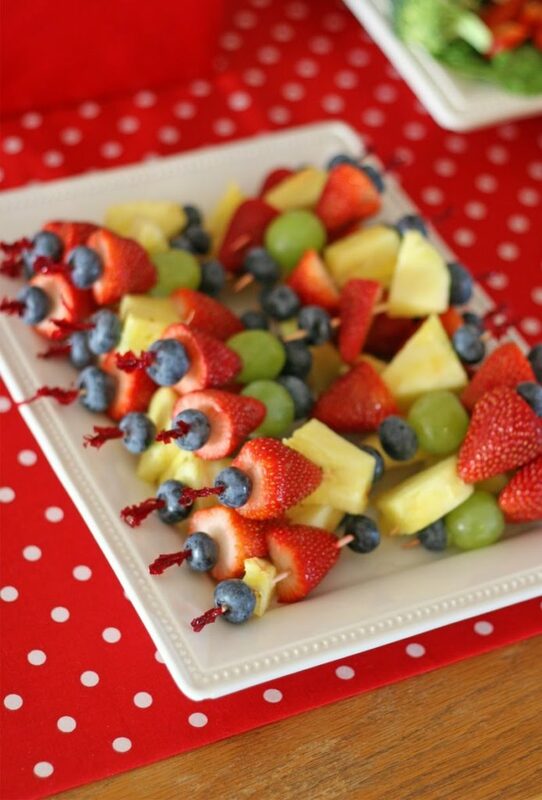 Tutti-fruity buggies – Cut strawberries in half lengthwise, attach a blueberry to the end of the strawberry that has the stem to look like the head; you can even give the strawberry some chocolate spots! Chocolate-covered pretzel bugs – Dip pretzels in chocolate colored red. Once dry, dip the side with one hole in plain milk chocolate, give the red side some milk chocolate spots and you have a yummy ladybug treat! Buggin’ out veggie tray – Use cherry tomatoes and black olives for sure, the rest is up to you. Arrange tomatoes and olives to look like a ladybug and use your imagination for the rest. Ladybug cookies – make red velvet chocolate chip cookies, delicious! If you don’t like red velvet, make a regular cookies and just frost them to look like a ladybug. Add some googly eyes for an additional dose of cuteness. Special thanks to Glory from Glorious Treats for these tasty party pics! Candy Jar – Fill a jar with red and black m&m’s or any candy you can find in red and black. Add a few little props, such as toy bottles or babies to throw everyone off. The person who guesses closest without going over wins the whole jar of candy! Pin the ladybug on the flower – This is a spin off of the traditional pin the tail on the donkey game. Whoever gets closest to the center of the flower wins this cute game! 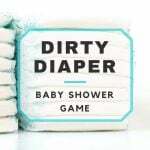 Build-a-bug Contest – This is a fun craft game to keep all of the munchkins busy while the adults are busy with the baby shower. Set up a craft station, or even use food and candy and let the kids have fun making their little critters. Take votes for the winner! If the idea of not having shower favors bugs you, it should. 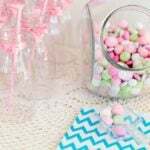 Every baby shower should have favors for the lovely guests to take home! 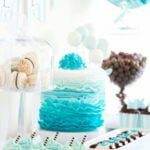 When it comes to favors, you cannot go wrong with sweet treats such as cookies and candy. Want to try something a little different? Perhaps candles decorated up with ribbon and polka dots is more your style! Whether you choose food, or something that will last for years to come, your guests will certainly be happy and have memories that will never fly away!